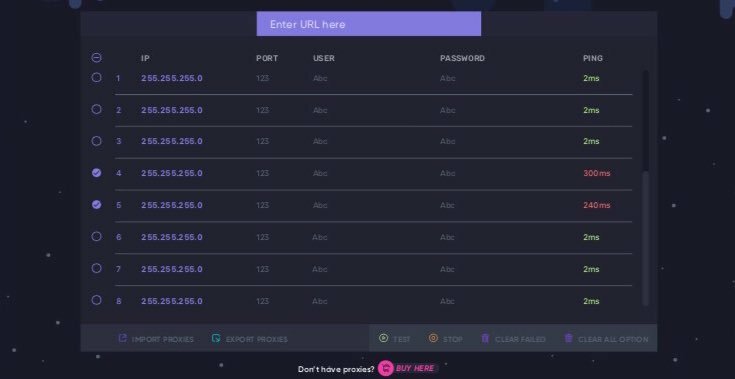 Destroyer Proxies is the most reliable proxy provider on the market. It offers affordable, available and high quality proxies that perform superbly on release days. All proxies are residential and support following regions: US, UK, AU, MY, CA, DE, CN, SG, PH, KR, JP. They have very good speed that is very crucial during releases. All proxies have IP auth. The interface is very simple and user-friendly, so everyone can use that product.